Cast iron cooking Potjies include well-fitted lids and strong carrying handles and are made from all cast iron. 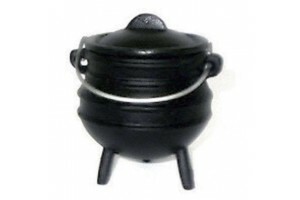 Potjie Pots come in many sizes, from a small mini pot to a 19 plus gallon cook kettle. Potjies include well-fitted lids and strong carrying handles and are made from all cast iron. They have three legs and the rounded bottoms to create a rolling boil motion that prevents food from sticking. Potjie Pots are necessities for versatile outdoor cooking. The lids are thick, cast iron and hot coals on top turn your Potjie Pot into a Dutch Oven for baking. Our Potjie pots are 100% food safe and pre-seasoned with a fine coating of vegetable oil.  With proper care, they will last you for many years. Care instructions are included with every pot.